A lot of the prominent members on here have actually preferred a tiptronic in the high powered 911 like the turbos as the tip can handle the power band better. True, but no comparison to PDK and that's definitely within earshot of 997.2 turbo territory. I think the value of tips is gonna be on the ultra low-end of 997.1 TT. The buyer who has 70k will not spend it on a tiptronic. He'll step up to the PDK or the manual. A member on the turbo forum was selling his TT with 20k-some miles for 47.5. THAT is a good deal. Really? I can see a preference for the PDK but the old Tiptronics were relatively sluggish. Compared to the manual, the tip can hold boost during gear changes so it's "faster" but as a new owner of a 997.1 TT tip, it's definitely not the world's greatest transmission! It's not bad for a tip, but it's nowhere near PDK in terms of performance. I'm just preaching to the choir, I'm sure everyone knows this. 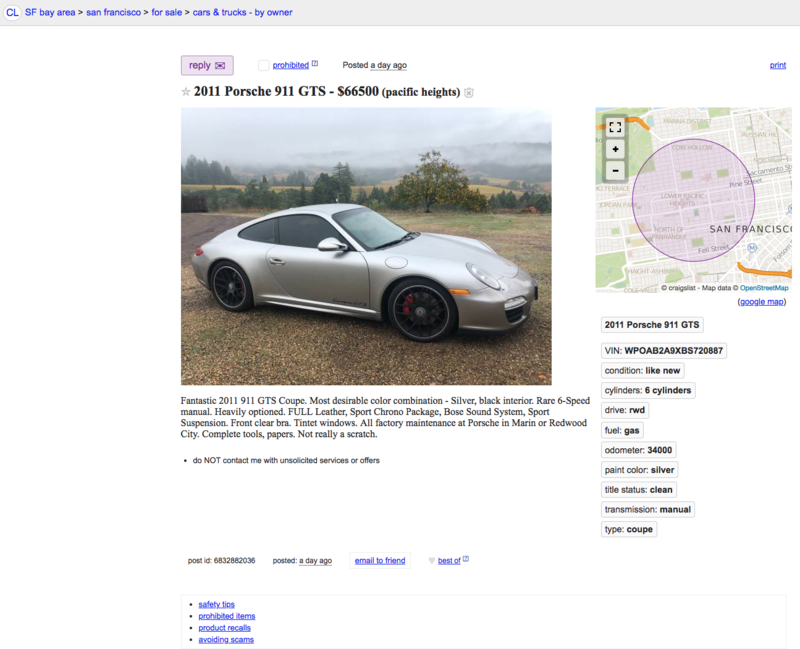 For $10K more you can buy a CPO Turbo S...so, given that, this is a terrible price! I was referring to the 997.1 turbos which was only available with the tiptronic. Personally I prefer a manual. No doubt the PDK is better in every aspect. It might just be the attachments for the taillight itself throwing out the fit of the light, and not a problem with the body or bumper structure. The body and bumper adjacent to the light seem to be well aligned to me. I remember an issue raised with the fit of I think a 996 rear light attributed to its insubstantial attaching mechanism. It might not be accident damage, although that taillight is definitely askew. Update: Really loved the car and bought it for 1.5k below ask. Probably not the greatest deal in the world, but the car really got under my skin When the heart speaks ... Thanks to all for the infos! 2009 C2S with 31k miles. It’s in excellent condition, but $57k seems high. The build sheet doesn’t mention PCCBs. I guess they painted the calibers? Saw this on my way to work yesterday: 2009 C2, PDK, 56,000 miles. $41k. One accident listed as “hit a tree”. Never seen that before on a car fax. 2011 GTS w/ 34k miles for a smoking $66,500. Saw it yesterday and talked to the seller a bit via email. 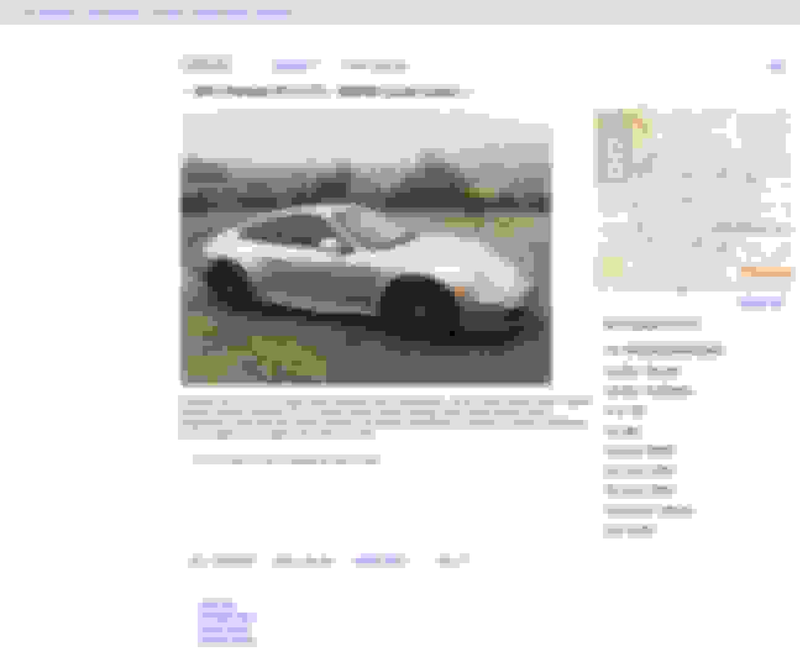 It's legit although the seller isn't really a Porsche guy and was sort of difficult. He thought the color was GT Silver... it's Platinum Metallic. If I was local I would have bought it last night. 2 owner car with clean carfax. PM me if you want a copy. PDK rules everywhere but the drag strip. A bone stock Tiptronic can handle 700 hp and with some mods can handle 1000+. Yeah, I think that one has been for sale for a while. Hitting a tree would scare me away (not to mention the beige interior, which I'm personally not a fan of). In purchased the car this morning. Been after a Coupe after selling my GTS cab. I was local to the seller who was very easy to deal with. AWESOME! Glad to hear the guy was easy to deal with; I imagine being local and in person was much more that guy's speed. I'm very very jealous.